Looking for the best baby carrier for petite mom? While baby carriers seem to be around forever, many Moms with small frames often have a hard time finding the right baby carrier to suit their own petite frame. 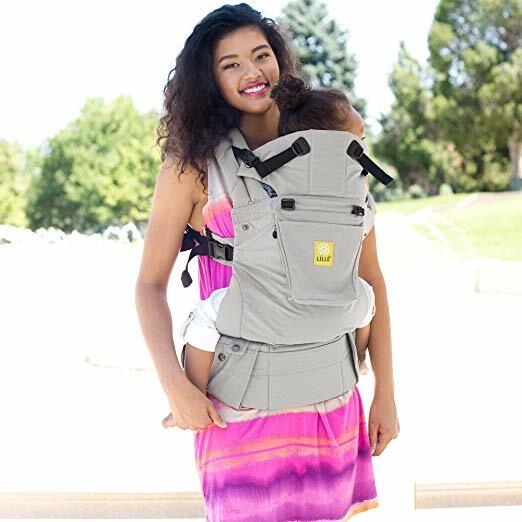 That’s why we’ve come up with this comprehensive list of the best baby carrier for petite Mom to help you prepare for the joy of motherhood. Apart from the convenience and safety it brings, studies also reveal that wearing one’s baby makes these babies less fussy and far more happier than those who are not. It’s perfect for even 4’11” mom as well as taller momas. Click here and scroll down a lillte to check out what short petite mom’s have to say about it here. Though expensive, but this carrier makes the bulky stroller redundant as it is very versatile and good enough for short walk or visit to the grocery stores. It’s unique seat is customizable and provides support to healthy seating for newborns in the narrow setting. 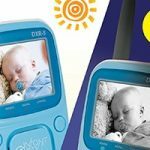 At the same time it can be adjusted and grows with your child in the wide setting to provide ample support. If you want less expensive ones check the other carriers below. They are not as versatile or adjustable as the carrier mentioned above, but can serve your purpose. One of the traditional baby carriers for petite mom, buckle type ones are adjustable and can provide a less bulky approach to carrying a baby. There are hundreds, if not thousands of brands out there from Pikkolo to Tula to Beco Gemini, Bjorn and so on. 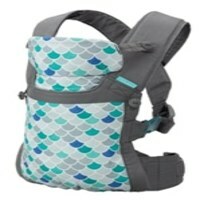 This Infantino GATHER Carrier, however, comes highly recommended by many petite Moms as well as Dads for its breathable yet highly durable comfort and style. The GATHER boasts of ergonomic support with adjustable seat to ensure continuous M-position for the baby. A quick gather at the base will provide knee-to-knee support for infants while extending it can accommodate a wider seat as the baby grows. It also has an adjustable head support and crisscrossing straps reminiscent of a Mei Tai wrap as well as a waist belt for added safety. Most importantly, it’s machine washable. Are you a petite mom? Don’t like the added bulk of buckle carriers then, try a Mei Tai baby carrier. Still delivering the same safety and protection of a bulk carrier but with the utmost comfort of soft cottony fabric that can be adjusted to perfectly suit your body frame, it provides gentle yet sturdy comfort when out and about with your baby. Long straps at the back can even be tied on the waist for added safety net. When it comes to one of the well-loved Mei Tai baby carriers, the Suse’s Kinder One and Only Baby Carrier is built to impress the petite moms. Uniquely designed to provide support on various developmental stages of a baby from lateral support for newborns to optimal hip development, its parts are strategically adjusted to suit all developmental stage of a baby. 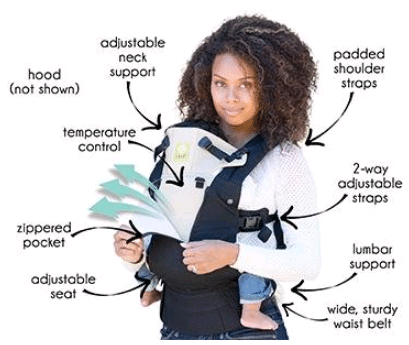 Straps on this baby carrier also comes with varying tactile stimulation to ensure baby safety from fall risks. It is also adjustable with no hazards like rings, buckles, ropes, and so on. It can be adjusted to suit a wearer’s body frame making it one of the best baby carrier for petite moms. This is the one we recommend as the best for petite moms. From Mexico’s Rebozos and Chals to the Asian podaegi and onbuhimo, baby wraps have been around for ages. Ancient history will also tell us that women traditionally “wear” their babies as they hunt, cook, or roam around for food and survival. Fast-forward to modern times, baby wraps like the one below from Boba Company is pretty much designed to suit any person’s body frame. Made usually of cottony soft hypoallergenic fabric, it allows one to carry their baby snugly with extra fabric wrapped around the waist for added security. This grey Boba Wrap makes a perfect fit for women and men with petite frames. Free from buckles and straps, it wraps your baby snugly like a burrito without any risk of falling. 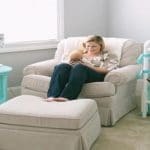 Made of 95 percent cotton and 5 percent Spandex, it provides hands-free well-rounded support and flexible comfort to keep baby snug and safe as it attached to your body like a caterpillar resting in its cocoon. Machine washable, this Boba Wrap is also devoid of any harmful dyes or hazardous chemicals. Resembling baby wraps, baby ring slings are also made of comfortable fabric only that it has a ring that allows you to adjust the cloth according to your baby’s size and your own frame. With a ring sling, you can carry your baby tummy-to-tummy or via hip carry despite being petite. The extra fabric on the tail may also be wrapped around the ring or the back for a sleeker look. One of best baby ring slings is the Eternal Love Ring Sling by LilleBaby. Made from 100 percent premium quality breathable and lightweight linen fabric, it makes baby feel snugly fit and cozy as you carry him or her on your bosom. This item comes with a one-of-a-king removable zipped pouch that allows you to carry a smartphone, small wallet, or other essentials. It also doubles as an extra padded layer underneath the ring binder. Check for price on Amazon HERE. Another variation in babywearing is the use of kangaroo pouches. Reminiscent of a Mei Tai, baby wrap and a ring sling, these pouches resemble that of a Kangaroo holding its joey in a mini pea pod form. Petite moms love it for its ease and less bulky appeal. Men also love its structure as there’s no excess fabric that dangles around. When it comes to Kangaroo pouches, this Rockin’ Baby Love and Peace or Else Pouch in black/white ensemble comes in either small or medium frame. Stylishly made with soft luxurious 100 percent cotton, it comes padded with side protection as well as interlocking zipper mechanism customized to fit all body types. It is also reversible making it an excellent way to complement a wearer’s outfit when out and about. One best thing about this product is that for every purchase done, the company will donate a new baby pouch to a Haitian mother. 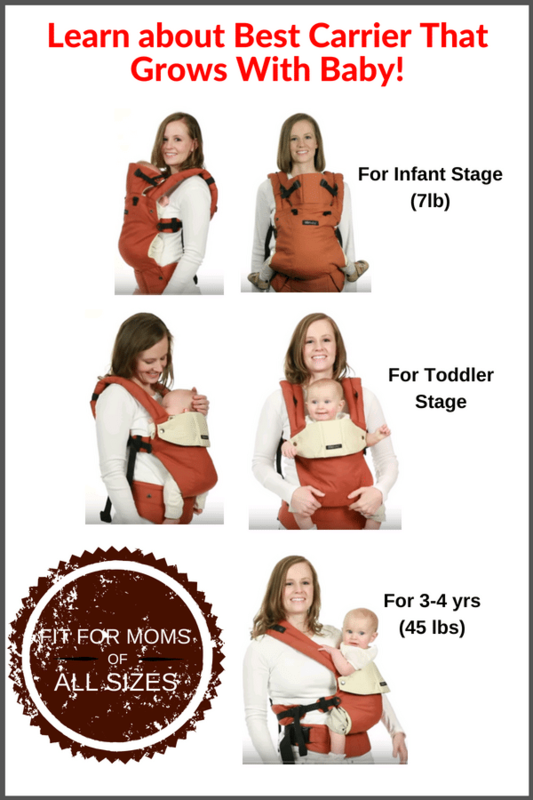 Once you have already take your pick out of the list of the best baby carrier for petite mom above, it is also important to remember certain precautions to babywearing. Moms or Dads, when wearing one, must refrain from drinking hot beverages, riding a bike or driving a car. Check all rings, buckles, knots and snaps in place when going about. Refrain also from picking something on the ground or from moving briskly. If possible, keep both hands on your baby in a hug position to stimulate skin-to-skin bonding and to ensure security of the hold.